Provide comfort for the family of Joseph Montesano with a meaningful gesture of sympathy. Joseph J. 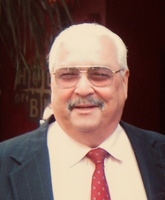 “Monty” Montesano, 65, of Kilmer Court, Delmar, NY; passed away Saturday evening February 23, 2019 at St. Peter’s Hospital in Albany, with his loving family by his side. Born in Albany, NY on August 23, 1953, he was the son of the late Joseph C. and Anna Capizzo Montesano. Joe received his education in the Albany school system and was a graduate of Bishop Maginn High School. Joe started his career with the Albany Fire Department where, he worked from 1976 to 1978. He then went to work for 30 years at the Albany Times Union as a district manager. Joe also worked for the code enforcement department in the city of Albany and finally working part time as a ranger at the Capitol Hills Golf Course in Albany. Joe enjoyed the horses, “Betting on the ponies”, playing golf and above all, spending leisurely time with his family and friends. Joe is survived by two sons, Michael Montesano of Los Angeles, CA; and Joseph Montesano of San Diego CA; one daughter, Lindsay Montesano of Ballston Spa, NY; three sisters, Anne Janik (Albert) of Middle Grove, NY; Joann Maclutsky (James) of Colonie, NY; Michele Montesano of Colonie, NY; and, one grandson, Aiden Montesano, ten nieces and nephews, cousins, his present girlfriend, Mary Beth Riley Musco and his former wives, Donna and Mary Leigh. Joe was also predeceased by his sister, Peggy Rinaldo (Joseph) of Albany. Visitation will be held Wednesday, February 27, 2019 from 4 to 7 p.m. at Mater Christi Church, 40 Hopewell Street, Albany, NY, where a Mass of Christian Burial will be celebrated Thursday February 28, 2019 at 11:00 a.m.
Joe’s family, would like to thank all of his caretakers,with special thanks to his devoted girlfriend, Mary Beth, for all of the care and compassion they had given to Joe. Memorial gifts in Joe’s name may be made to the charity of your choice. 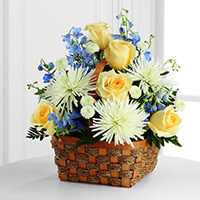 To send flowers in memory of Joseph J. "Monty" Montesano, please visit our Heartfelt Sympathies Store. Pat and Bill Peters sent flowers to the family of Joseph J. "Monty" Montesano. Pat and Bill Peters purchased the The FTD Heavenly Scented Basket for the family of Joseph Montesano.